*This is the second post in a new blog series on Women, Gender and Pan-Africanism edited by Keisha N. Blain. Blog posts in this series will examine how women and gender have shaped Pan-Africanist movements and discourses of the nineteenth and twentieth centuries in the United States, Europe, Africa, Latin America and the Caribbean. 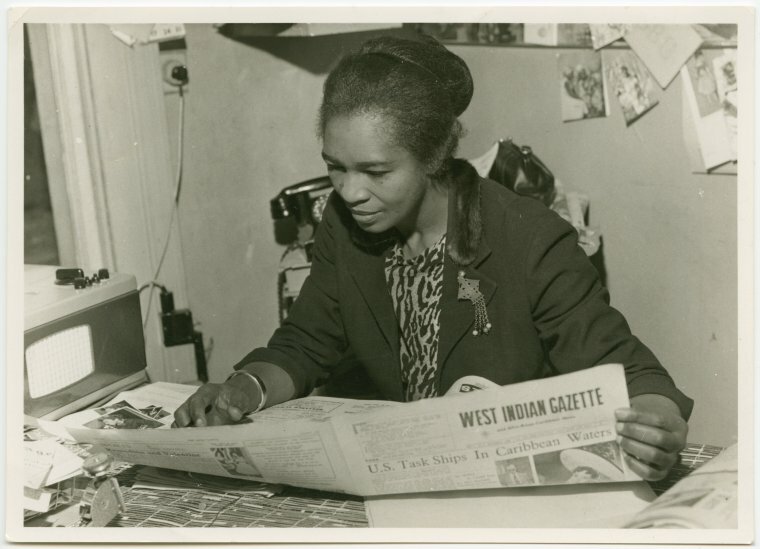 In this post, historian Denise Lynn explores the feminist vision of Pan-Africanist intellectual Claudia Jones. 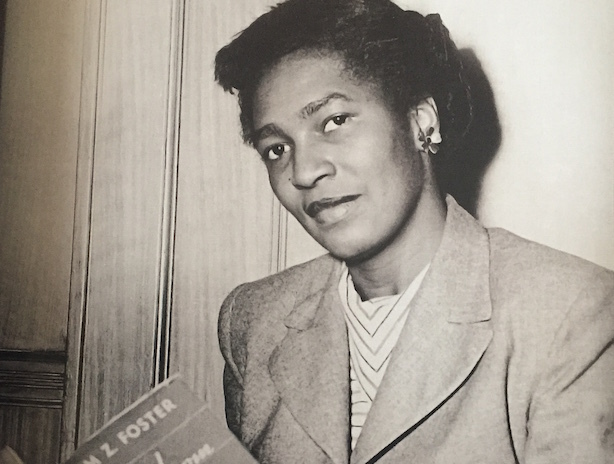 Claudia Jones’s contributions to Pan-Africanist thought and Black Nationalism are well documented. Once lost to activists and academics, scholars are beginning to unearth Jones’ contributions to both the American and British Left during the Cold War and the personal price she paid, including deportation from the United States and leadership conflicts within the British Communist Party. Nevertheless, she persevered in pushing a largely white Communist Party to consider not just Black Nationalism, but the integration of Black women into Black Nationalist thought. She argued to Party leadership that its focus should not be on the white male industrial worker; rather the Party should focus on the most oppressed and most exploited—Black women. Jones did this by constructing the most sophisticated understanding of Black women’s triple oppression to date. She emphasized that in order to free all working people, the most oppressed had to be freed first. This did not go over well among many dogmatic Marxists in the Communist Party leadership, but it never stopped Jones from pushing for further acknowledgement that Black women’s triple oppression preceded that of the male industrial worker’s oppression. What has been lost in studies about Jones is her contribution to feminist thought. While her understanding that Black women’s triple oppression preceded all other forms of oppression may have been controversial, what she formulated was a universal emancipatory politics that would free all women and all workers and all humans from the shackles of capitalist, racist, and sexist oppression. She accomplished this by arguing that true freedom lay in the demolition of class, race, and gender oppression. What better way to do that than to focus on the emancipation of the group that suffered from all three. Thus by freeing black women, you would free all women, and by struggling to free the most downtrodden, all would be freed. Jones’s theory of socialist feminism was a universal idea for global emancipation. Jones’ socialist feminist thought was grounded in the differences among women; this was essential in her understanding of how oppression operated. White women were certainly oppressed, especially white working-class women. However, they still garnered certain racial privileges that could be beneficial in the competitive workforce where women vied for low-wage jobs. Additionally, Jones believed that white women could never know true freedom until Black women were emancipated. Thus, they shared a common interest and investment in Black liberation and that white activists should embrace Black Nationalism. 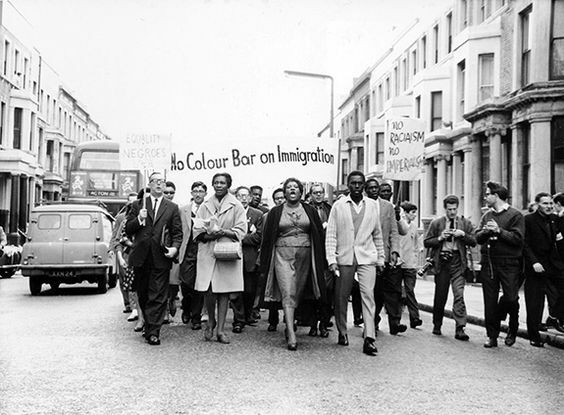 Claudia Jones leading a demonstration in London against the 1962 Immigration Act. Denise Lynn is an Associate Professor of History at the University of Southern Indiana in Evansville, Indiana. Her articles have appeared in American Communist History, Women’s History Review, Journal for the Study of Radicalism, and The Journal of Cold War Studies. Follow her on Twitter at @DeniseLynn13.